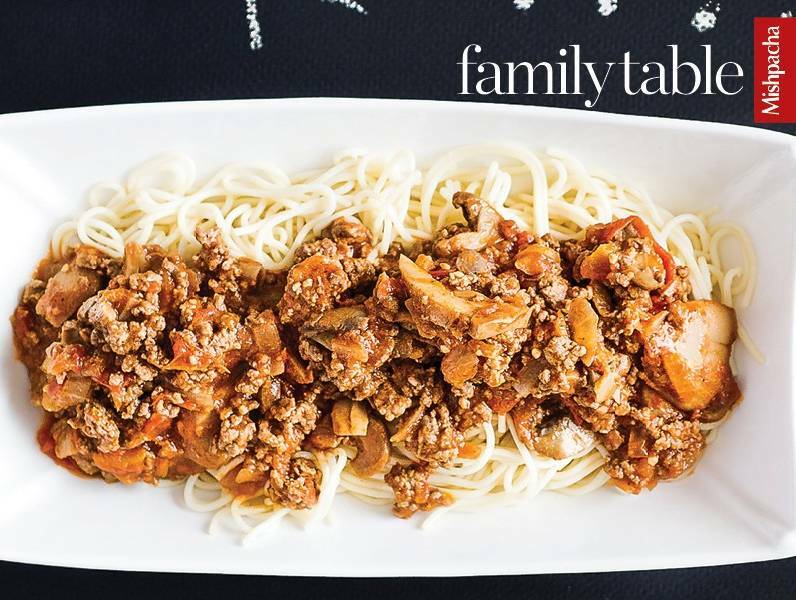 Saucy and hearty, this savory meat sauce is all you need to top off your favorite pasta, for a meal that’s as easy as it is delicious! In a large frying pan, sauté onion in oil until golden; add garlic and sauté an additional one to two minutes. Add mushrooms to pan, and stir until heated through and beginning to brown. Add ground meat to pan. Mix to break up clumps, and cook until meat is browned and clumps are broken up. Add tomatoes, tomato sauce, water, and ketchup, and bring to a boil, stirring constantly. Lower heat to a simmer and cook for an additional 10 minutes, until tomatoes are softened and cooked through. Remove from heat and season with basil, if desired, and salt and pepper, to taste.